Interviews with Industry Executives, Commentary & Analysis from WhatTheyThink Contributors and other video features. 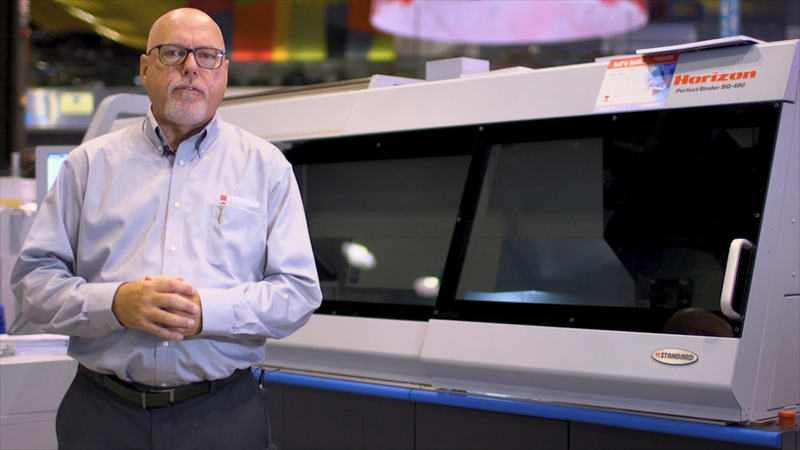 Paul Steinke, National Sales Manager for Standard Finishing Systems, talks about two new Horizon finishing units on display at PRINT 18: the StitchLiner Mark III and BQ-480 perfect binder, both of which include new automation features. 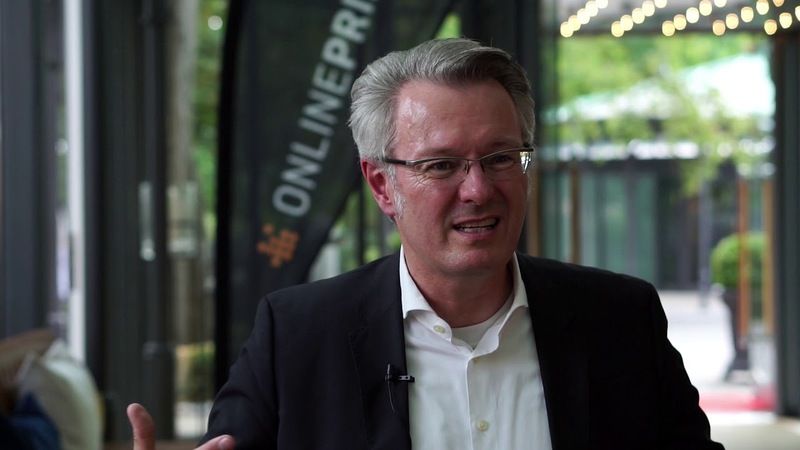 Sagen de Jong, CEO and Co-Founder of Tilia Labs, talks to Dave Zwang about the company's imposition, planning, and workflow software, and how imposition for labels and packaging differs from general commercial printing. 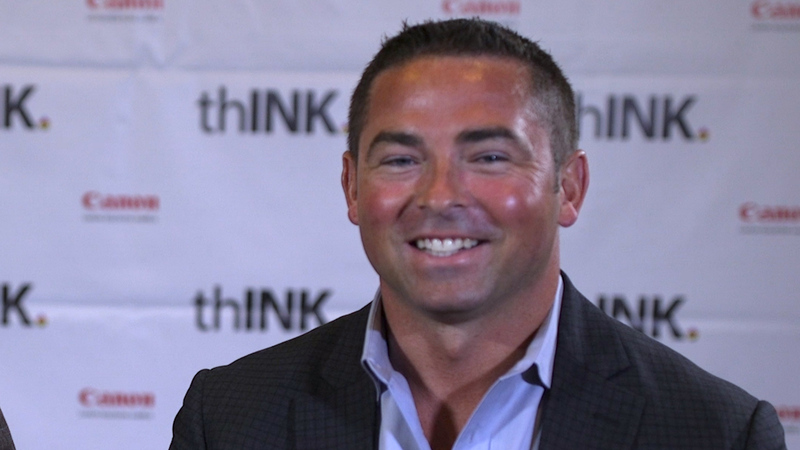 Ryan Kiley, Director of Strategic Production Services for Ricoh USA, talks about Ricoh Communications Manager and Ricoh Supervisor, the company's new workflow automation and print shop management tools. 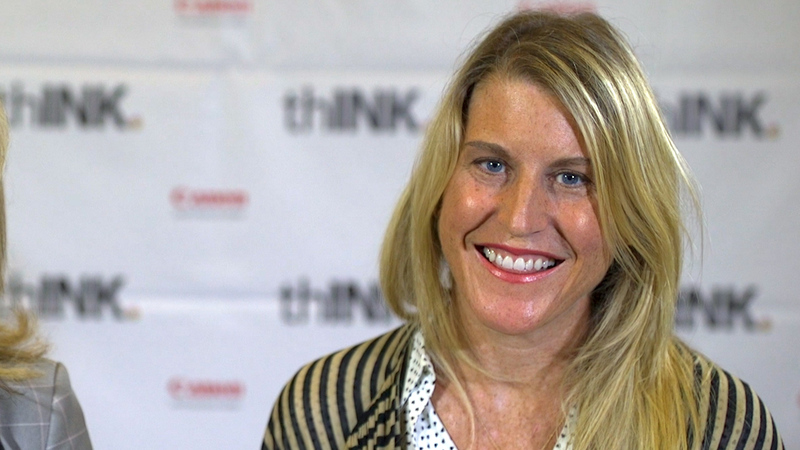 Join Jennifer Kolloczek, Director of Marketing for Canon Solutions America, on a tour of the #PRINTCANON Applications Gallery at PRINT 18 in Chicago. 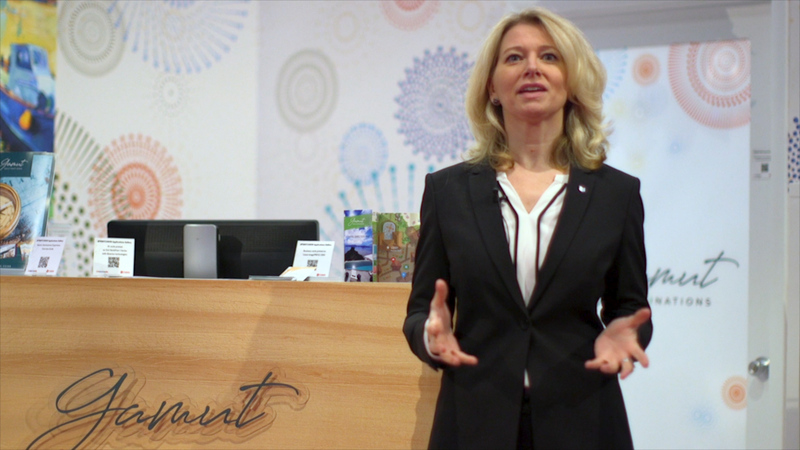 This fully immersive hotel experience highlights the many applications that customers can add to their own businesses with the help of Canon technology. 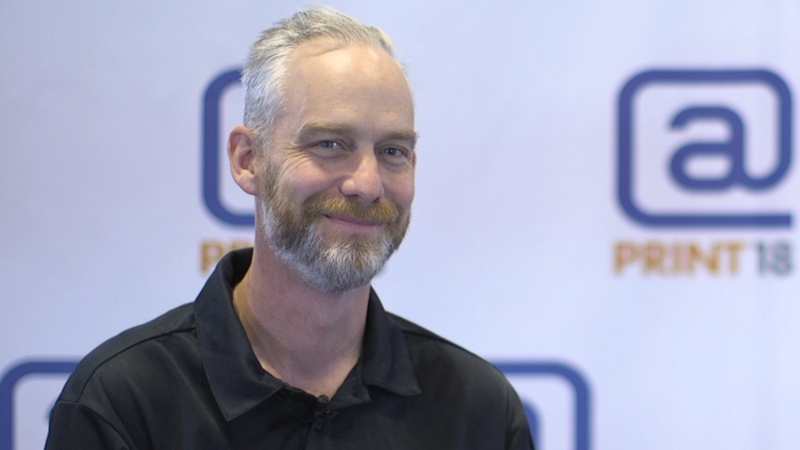 Chris Martin, VP of Creative Labels, has been in the label business since 1980, and talks to Dave Zwang at Labelexpo about the steps he's taken over the years to transition into digital technologies. 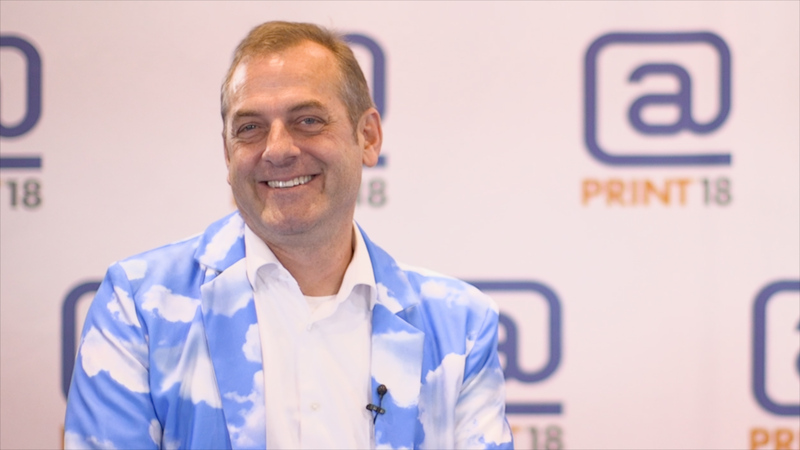 Scott Eganhouse, Vice President of Business Development for TEC Mailing Solutions, talks about the importance of cloud-based mailing, and winning a Red Hot Technology Award at PRINT 18 for their mailing software. 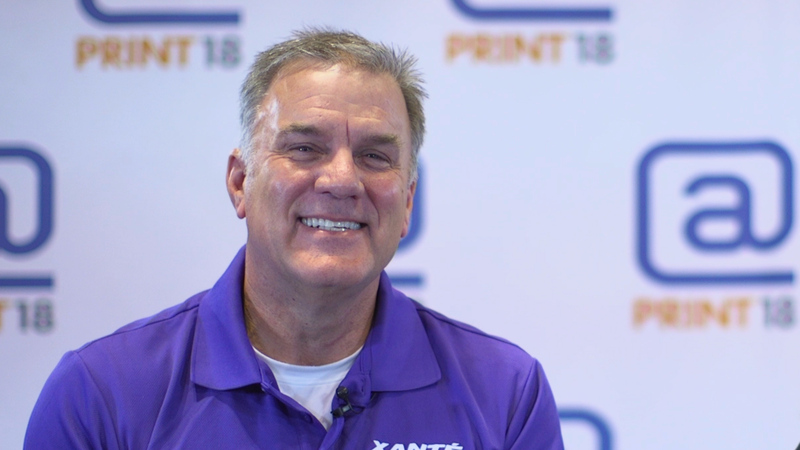 Robert Ross, President of Xante, talks to Kelley Holmes about the company's successful PRINT 18, which featured their new, interactive classroom booth, as well as the excitement of bringing home three new technology awards. 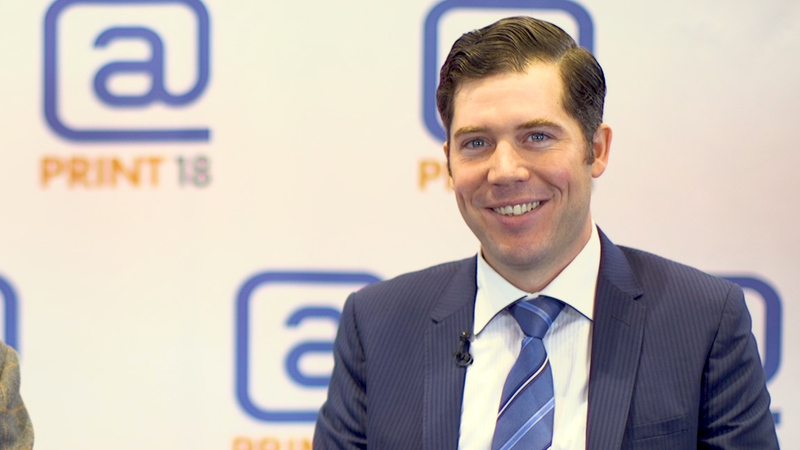 Eric Hawkinson, VP of Marketing for Canon, talks about @PRINT18, the onsite guide to the Chicago conference, printed on the Canon Océ ProStream Series Production Inkjet Device. 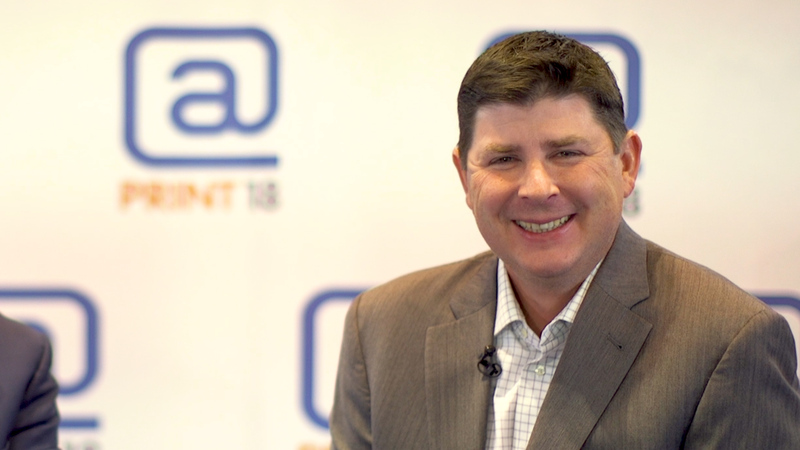 Thayer Long, President of the Association for PRINT Technologies (APTech), talks with Kelley Holmes about PRINT 18's opening day and APTech's new membership option for print service providers. 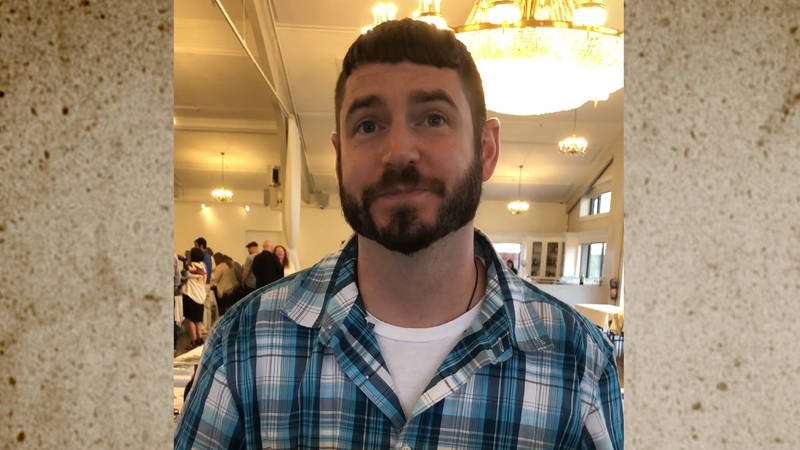 Frank recently ordered a mini voice recorder to secretly record meetings at the White House, but was more interested in the packaging and package contents. Between the various boxes used to ship and hold the recorder and the plethora of instruction booklets, he liked all the printing that was involved. 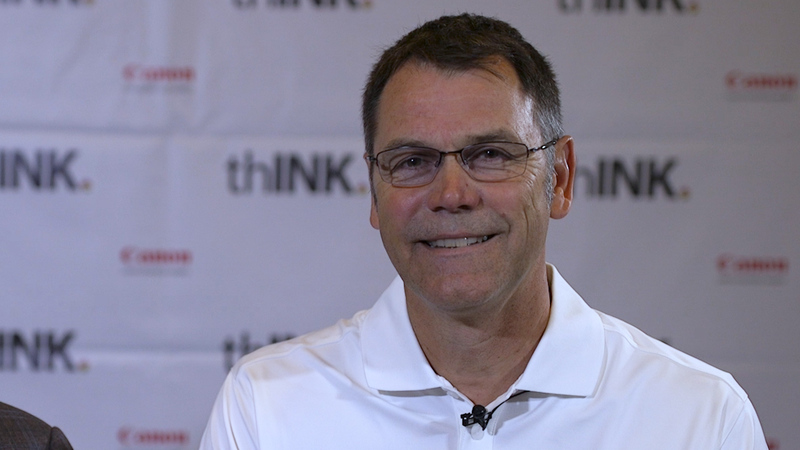 Jim Clark, Director of Operations for McNaughton and Gunn, talks to Dave Zwang about the changing trends that the 42-year-old book printing business has been seeing. While offset is still the mainstay, digital is by far the fastest growing part of the business. 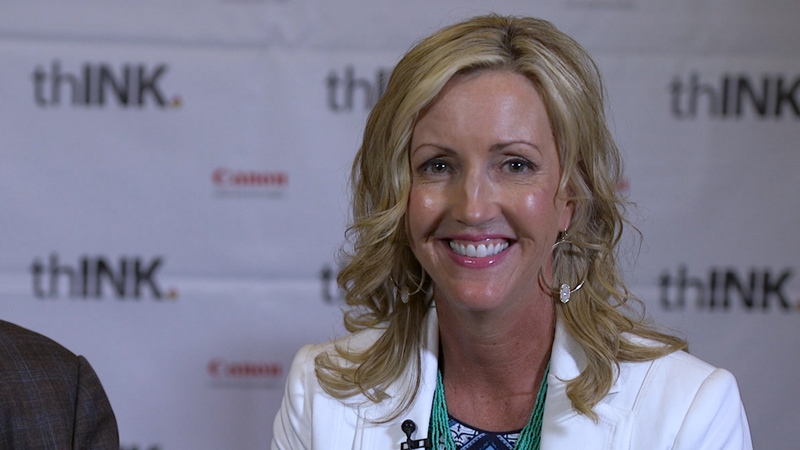 Jennifer Eberle of Highnote, a printing and marketing communications company based in Louisville, recently added a Canon i300 to their production line. Known for direct mail, wealth management, non-profit, and variable data printing, they've found the Canon i300 has made them more competitive. 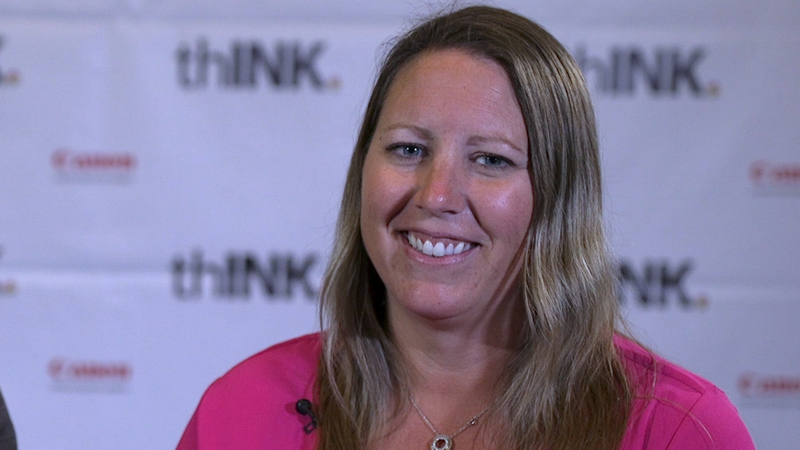 Lisa Stelter of Sanford Health discusses how the organization handles their in-house printing, their installation of a Canon Océ VarioPrint i300, and how the combination of their printing facilities has saved money and streamlined their workflow. 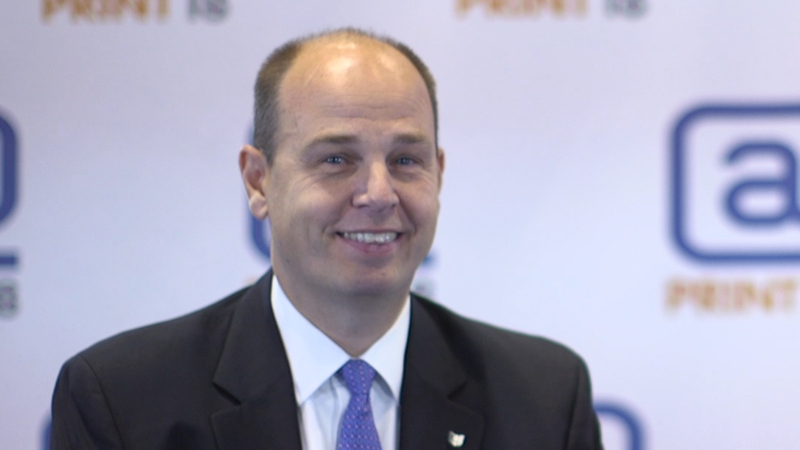 Casey Hendrick, President of Production for United Mail, talks about the company's offerings—predominantly in the health and financial industries—and the company's integration of the new Canon Océ VarioPrint i300. 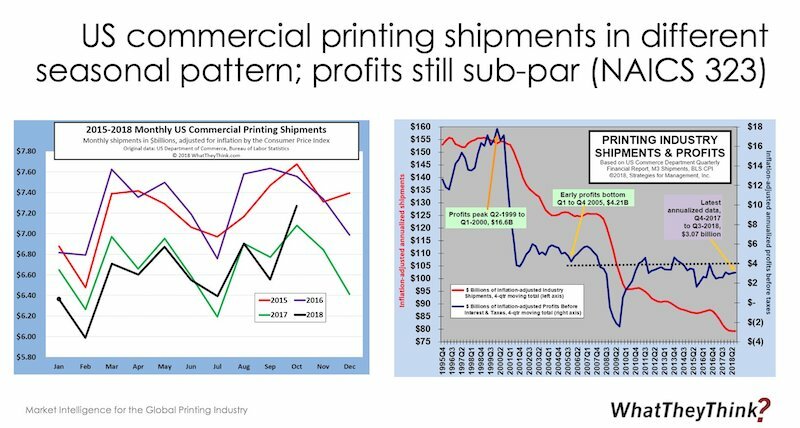 Amy Machado of IDC Research talks about her recent inkjet forecast for the entire color market. 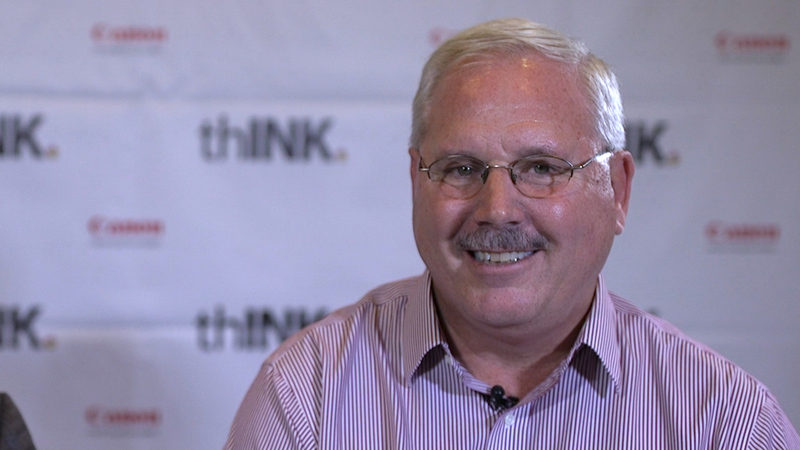 Overall numbers show that the inkjet market is growing, thanks to quality improvements and the availability of more options. 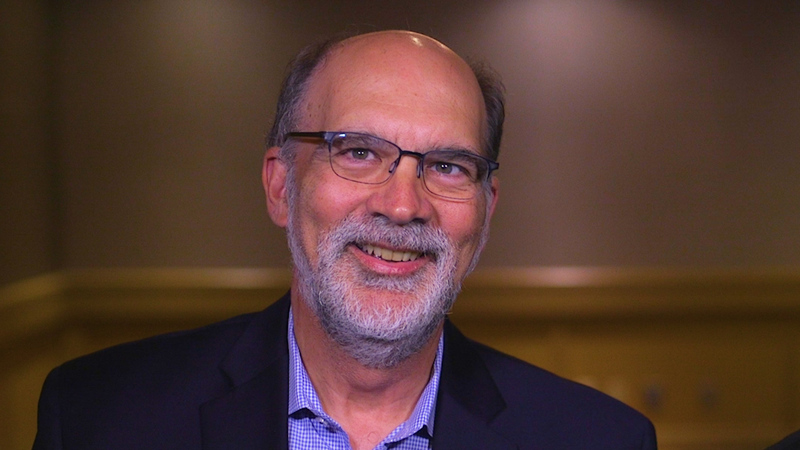 Bob Barbera, Senior Manager of Production Solutions Marketing for Canon USA, discusses the challenges of color management, such as predictability, and how the technology is evolving. 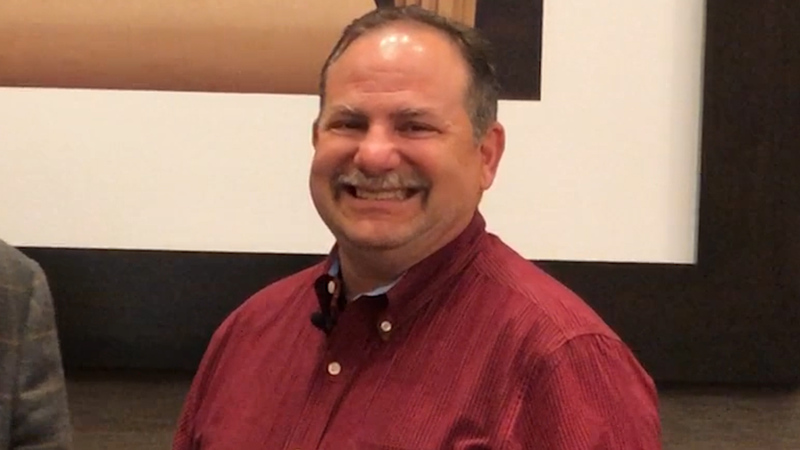 Todd Roth, VP of Manufacturing and Distribution, Core Publishing Solutions, at Thomson Reuters, discusses the company's background in web press applications, their move into production inkjet, and their new venture selling book manufacturing for other publishers. 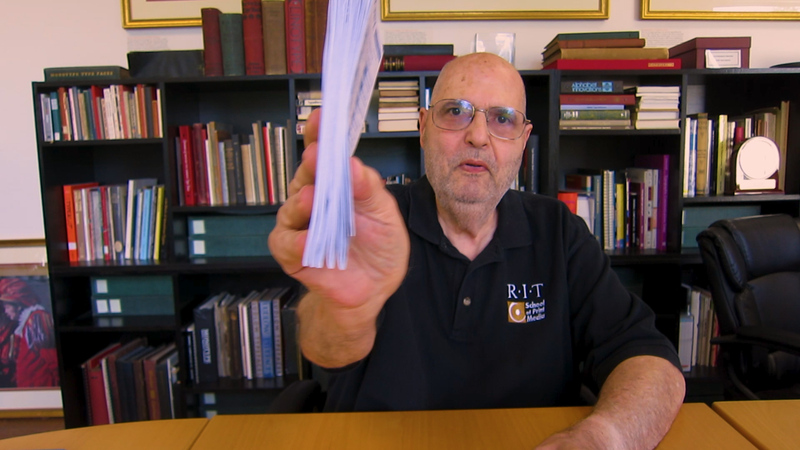 Frank plays with his newest toy: a model of an English common press, a design that improved upon Gutenberg’s original. 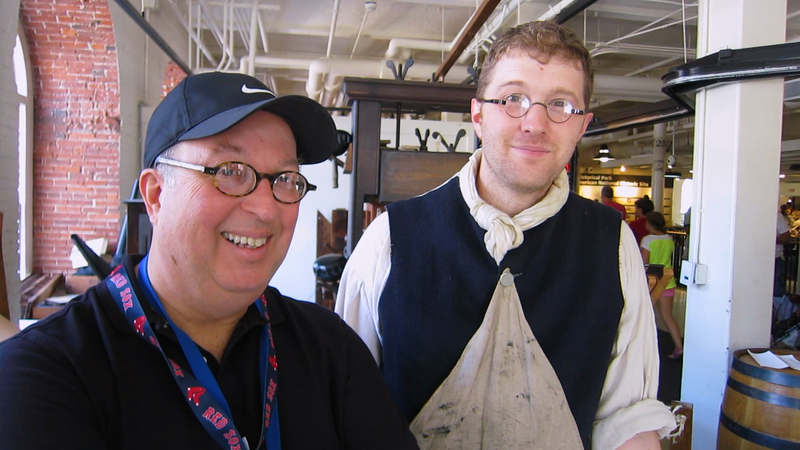 He then takes a field trip to Boston’s Faneuil Hall Marketplace, location of Edes & Gill, an 18th-century print shop that has a life-size English common press as well as other period printing equipment. There, he talks with Gary Gregory, executive director and master printer, and his assistant Tyler Kerr.